A fairly technical and gameplay rebalancing mod, Buff Clipping (AKA Overbuff Kickback) is a mod that seeks to correct one of Morrowind's most notable exploits, the fact that you can have an unlimited number of enchants or potion spell effects buffing your character's stats into infinity. Now with the Overbuff Kickback, the amount you're able to fortify your attributes is limited to what your base attribute is and what your base personality is, and if you try and fortify your attributes past that, you'll start experiencing kickbacks like drained fatigue, lowered health, and eventually death. If you want a greater challenge with Morrowind, or just want to get rid of some of Morrowind's numerous exploits, this is a good mod to check out! [url=http://www.nexusmods.com/morrowind/mods/44295/? ]Buff Clipping (AKA Overbuff Kickback)[/url] was released on May 14th, 2016 by Svengineer99 as part of the Morrowind May Modathon 2016 competition, and it's one of three random drawing winners for the second week of May. All winners of Morrowind Modathon get free games, trailers and independent showcases of their mods on Morrowind Modding Showcases! Want to participate in Morrowind Modathon Month and potentially win prizes? 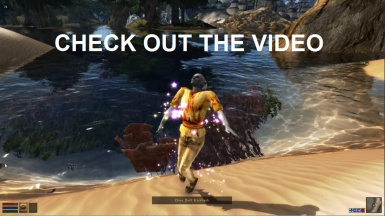 It's easy, just check out our [url=https://www.youtube.com/watch?v=UiAAGDa9p6g]announcement video[/url] and [url=https://forums.nexusmods.com/index.php?/topic/4073560-morrowind-may-modathon-month-2016-celebrating-14-years-of-morrowind/]rules thread[/url] for more details! The music in the this video is [url=http://www.nexusmods.com/morrowind/mods/43407]"A Boat to Vivec" by Jon Babb[/url] and [url=https://youtube.epidemicsound.com/]"Pixie Dance" from Epidemic Sound[/url].